On Thursday, October 17th, students in Mrs. Robertson’s 4th Block Career Management class worked on a project entitled, “From Trash to Treasure”. This is a project learned from the NC REAL training that Mrs. Robertson, Mrs. Adkins, and Mr. Miller attended in the summer. 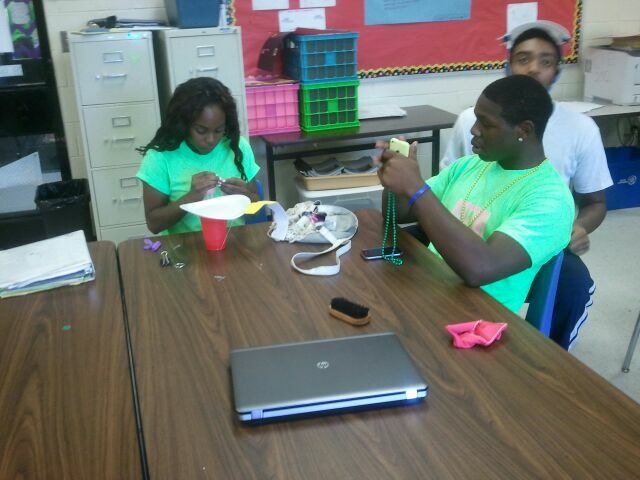 This project allowed teams of three to five students to create a product. This product was made from “everyday junk”. The students had 30 minutes to work with the team and create this product. After the product was created, the students had to create a commercial to promote this product. Teamwork was the theme of this lesson. Learning to work in teams is important to learn before joining the workforce. The students thoroughly enjoyed this project and look forward to experiencing more NC REAL projects this semester. 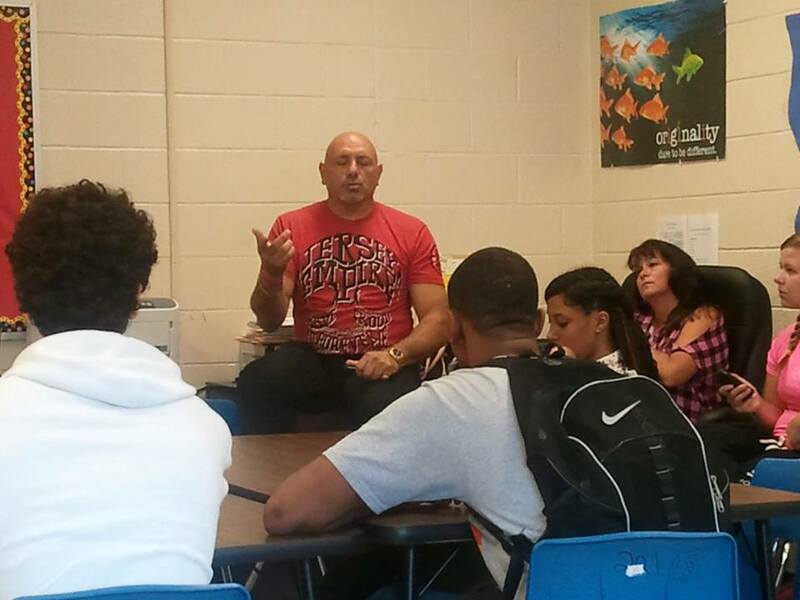 Andy Polizzi, Snooki’s Dad, visited with students in Mrs. Robertson, Miss Adkins, and Ms. Ingram’s c lasses at Scotland High School on September 27, 2013. Mr. Polizzi talked to the CTE students about being CEO of his daughter’s company, NEP Enterprises in Marlboro, NY. He spoke of marketing, products, pricing, accounting, social media, investing, and career choices. Mr. Polizzi encouraged students to set high goals for themselves. He also encouraged students to make smart decisions about a career. It is important to enjoy what you do, so choose a career is related to your personality and interests. Mr. Polizzi encouraged the students to never give up on their dreams. He used his daughter, Nicole, as an example of having a dream and making it come true. The students wished Nicole luck on Dancing With the Stars this season. Mr. Polizzi is the cousin of Mrs. Robertson. This is his second year coming to Laurinburg to help to raise money for Relay for Life with our cousin, Mary Jacobs.